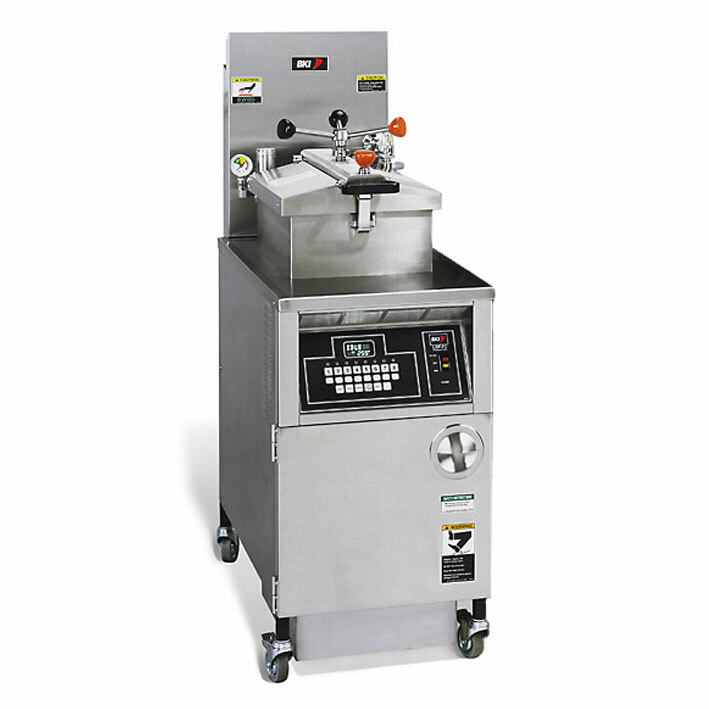 Large Volume Gas Pressure Fryer with optional Computer and Filter The safe, efficient and economical Gas Pressure Fryer allows you to feature popular fried food options without the high maintenance and costs. Low-pressure cooking delivers moist, tender fried food with 30% longer holding capability. Patented "Quick-Disconnect" filtration system and "Instant-On" electric igniter ensure simple and easy operation. High quality construction stands up to heavy use. It's the economical choice that is designed to save retail and catering businesses significant fuel and money.